I am working to identify the components of my pool system. Can someone tell me what this is and what it does? Brand name on cover is Thermocraft. Looks like some type of junction box to me. Not sure what all is wired together in there though. 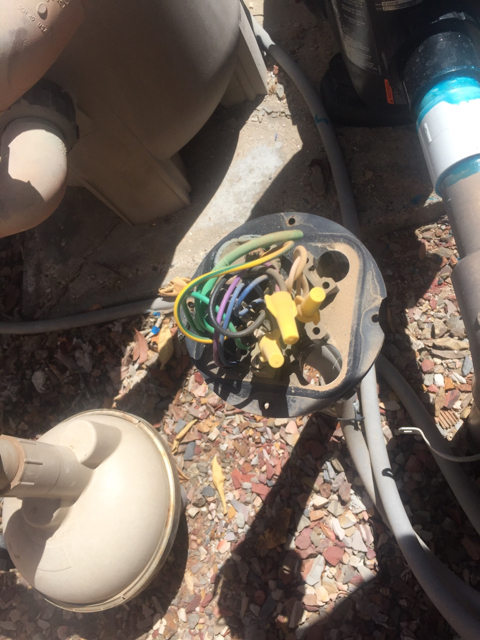 Pool and/or spa light junction box. Only have pool light so that must be what it is. Lot of wiring a one light! 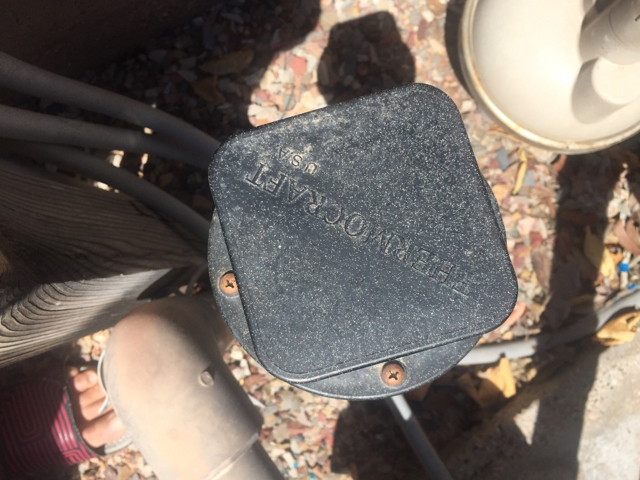 It may be being used as a junction box for another appliance (not to code in most areas). The three wire nuts (yellow), are the pool light connection. all the other wires may just come up in the box then disappear into another conduit.